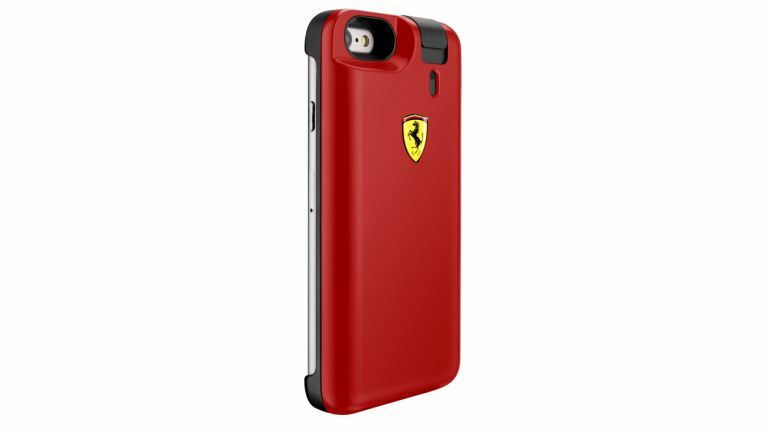 According to the official site, this iPhone case releases "jus of the iconic fragrances Scuderia Ferrari". We have several questions. Secondly, does anyone need an iPhone case what is capable of spraying jus everywhere? What if you're on a phone call and accidently spray jus in your eyes. Did Ferrari think about how many jus-in-eye related injuries this is going to cause? Finally, is this really real? Like, it's not a late April Fools Day prank is it? Seemingly, no. It's compatible with iPhone 6 and iPhone 6S, and you'll actually be able to buy this case for £30 in Boots. For that dosh, you get 25 ml or Ferrari Black or Ferrari Red EDT, plus an extra 25ml refill. Not sure exactly what those smell like, presumably burnt tyres, leather, and petrol. We're not sure anyone actually needs this, BUT after the aftershave is gone we'd suggest filling it with pepper spray for the ultimate incognito self-defence weapon.